Create innovative eCommerce packaging with pre-applied adhesive tapes to your corrugated cardboard boxes. We have recently invested in new taping machinery in both West Bromwich our Essex based plants. This investment in two brand new machines allows the CBS group of companies to further increase production and product creation for the expanding eCommerce market. The new taping machinery allows us to produce corrugated packaging with pre applied hot melt adhesive tapes. Allowing the creation of cost-saving frustration free packaging that is also environmentally friendly, allowing the same delivery packaging to easily be reused for potential customer returns. This innovative eCommerce packaging speeds up fulfillment times with peel and seal adhesive strips, this allows customers to quickly, and easily seal their packaging without the need of any external tape. 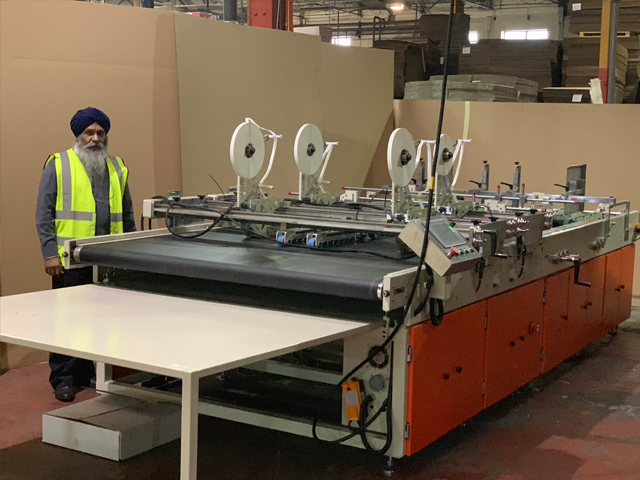 The first of the machines, installed at our headquarters in West Bromwich is now fully operational and accepting orders. The second machine, which was also installed in October 2018, at Essex based Connect Packaging. Picture of Mantir Singh(Sales Executive & Director at CBS Packaging) with the machine at West Bromwich plant. 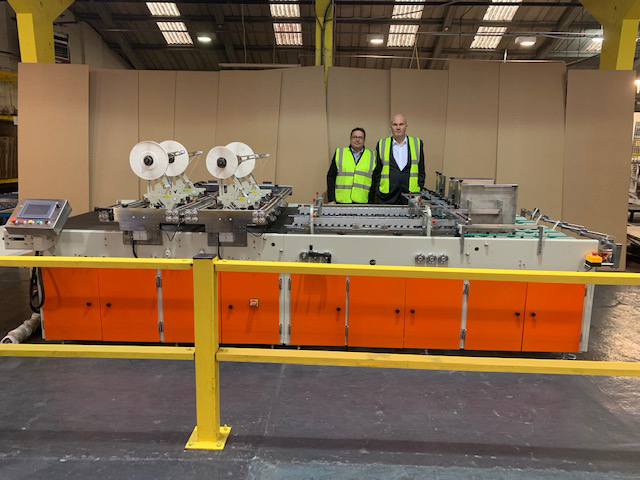 Picture of Dave Pretty(Operations for CBS Packaging Group) and Jon Glazier (Sales Manager for Connect Packaging) with the new machine installed at Connect Packaging, Essex.